Coated 289 Racing Rod & Main Bearings. 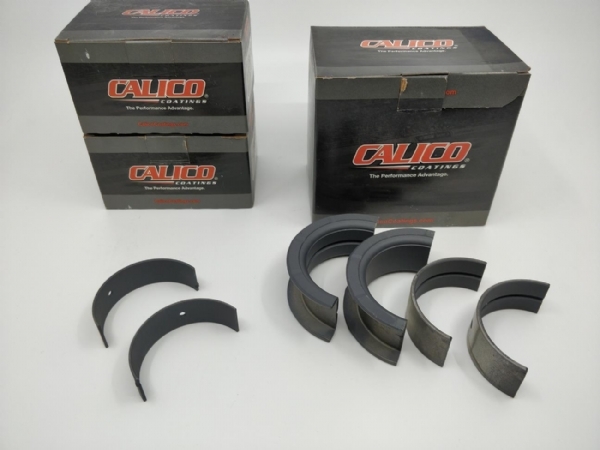 These fine quality Clevite bearings come with an anti-friction coating that is design to hold up under the most extreme circumstances. In wet sump engines, often suffering with high oil temperatures and oil surge, the coating is exactly what you need to provide that safety margin you want as an engine builder. We have used these bearings for many years with excellent results. Cost per full set of Rod & Main Bearings for Ford 289 £364.00 + VAT.